The British East India Company was hugely successful, but what if I told you that they also inadvertently murdered 10 million Indians? The British East India Company ended up ruling large areas of India and traded in cotton, silk, tea, opium and other goods. 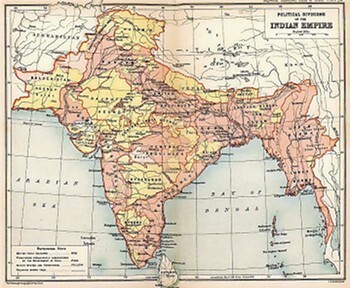 Control of Bengal was given over to London and the East India Company making Bengal part of the British Empire. The British Empire’s right to rule Bengal was given by the Mughal prince. Agricultural crops were then modified to fall in line with the British East India Company’s import / export needs. Farmers were mostly forced to produce opium and not food crops. As a result, when there was a lack of rain and a heat wave there were no surplus food stocks available to local people. In 1770, one third of the population of Bengal died from food shortages and the after effects of the famine included disease and nutrient deficiency. Poor management by the British East India Company, driven by greed was the cause of so many deaths and trade leaders did little to nothing to help in the crisis. The need to keep emergency surplus food supplies was a necessity. However, the British East India Company favoured profit over humane common sense. WIth so many deaths, large areas were depopulated and turned into jungle whilst many remaining survivors migrated in the search for food. The ramifications of the famine remained evident in Bengal for a decade afterwards. To make matters worse, the British East India Company extorted large amounts of tax from farmers by upping the land tax from 10% to a hefty 50% of all crop profits. Farmers were ordered to plant Indigo in place of rice for example and hoarding rice was forbidden. Regions worst affected by the famine were Birbhum and Murchidabad. Even though reports of the catastrophe were coming in to company officers they were conveniently ignored, with profit being preferred over kindness. With large areas of Bengal under emergency conditions it gave rise to thugs and groups of bandits who took advantage of the situation. Violent tax collecting strategies were used by the British East India Company in an effort to further increase the company’s profits. Britain’s colonisation of countries in the past has sometimes speeded up the development of third world countries by bringing new technologies and methods. Also, English is now a worldwide language largely because of British colonisation. However, there has also been a lot of damage done in the past where developing countries have been taken advantage of.